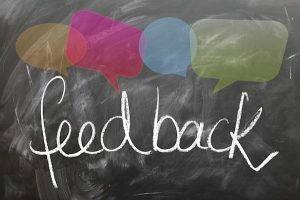 How to Give Productive Feedback | Transformation Point, Inc. Whether you’re the owner, department head, supervisor or staff person, there will come a time when you have to provide your input on someone else’s performance. As uncomfortable as you might find the task, there are valid reasons for doing it. 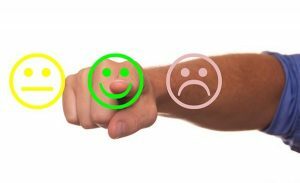 Regardless of whether the content of that feedback is good, bad or somewhere in between, rating another person’s functioning at work can have either a positive or a negative impact, depending on how the other party receives the information and how you deliver it. And while you have very limited control over the former, your ability regarding the latter can influence the success of the process. In this two-part post, you’ll learn some tips for what to do to prepare for the feedback process, when it should be done and how to deliver praise and criticism effectively. In part two, you’ll learn what to do when you are on the receiving end of a critique to ensure that you gain the most from it. What specific information do you need to convey? What specific performance have you observed? What information have you received from the employee’s peers or supervisor that is relevant to the discussion? What has been the history of performance? What do you want the employee to realize or understand? A—Attitude. It’s critical that you have the right attitude—objective and calm—from the outset. If you are angry, frustrated or otherwise feeling negative toward the other person, you might want to cool down a bit so your attitude doesn’t overwhelm the content. On the other hand, if you find it challenging to offer any type of criticism, not matter how deserved, you may need to practice so that your message is clear and direct, rather than ambiguous or confusing. P—Purpose. Clarify the purpose, goals, and outcomes of this meeting. Is this feedback intended as the “beginning of the end” process, when you are giving the employee a final chance to improve before pink-slipping occurs? Or is this part of the orientation or “honeymoon” phase: an educational session to fill in the blanks for a new hire who may be inadvertently making mistakes or tripping over corporate culture taboos? Are you considering the employee for a promotion but need to see improvements in key areas so he or she will be able to handle increased responsibilities? E—Expectation. What you are specifically expecting from the employee? Part of the feedback should include goal-setting: specific and measurable outcomes that demonstrate the employee’s willingness and ability (which can be two very different things) to correct the existing problems or behaviors. It’s not enough to say what you don’t like. You need to identify what you want to see in the future and what the timeline is for improvements. Frequency matters. 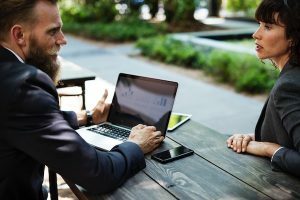 You are setting your people up for failure if feedback sessions or performance reviews take place irregularly, annually or only when it’s time to consider raises and promotions. The best review schedule is one that take place frequently enough to deal with small problems before they become major issues and provides praise close to the time when the achievement or success took place rather than weeks down the road. As for employees who regularly meet or even exceed their goals, demonstrate initiative or in other ways prove to be valuable members of the team, not offering praise (under the “no news is good news” belief) or doing it rarely may make them feel unappreciated and underrated, and lead them to seek employment elsewhere. The “sandwich” method — With the sandwich method, you start with praise (the bottom slice), slide in a few comments on what needs to be improved (the filling), then top it off with more praise (the top slice). The “hot pepper pizza” method — With the hot pepper pizza method, you start by listing all the areas that are working really well (the pizza shell), before layering on the “hot pepper” topping: the problems, issues and behaviors that need improved. The “vegetables before dessert” method — You start with the problems or failures that have been identified (the broccoli or Brussels sprouts, so to speak) before delivering the “chocolate cake”: compliments on successes and achievements. State the reason for the meeting — to review the employee’s overall performance—and then discuss the issues you have already identified during your preparation. These should be fact-based, not assumptions. For example, if your employee is habitually late for work, that’s a fact. However, deciding in advance that it’s because he is unreliable or she is not committed to her job is an assumption. Instead, ask the employee what are the causes for the late arrival and what, if anything, can be done to correct it. It’s also important that the other person understands how his or her behavior affects the entire operation. Far too often, employees don’t have a sense of how their work or job responsibilities impact the big picture. Explaining the domino effect their performance is having helps them understand where they fit in the company. It’s also an excellent opportunity for emphasizing how important they are to the success of not only their department but also the business as a whole. And who doesn’t want to feel valued and important, rather than just a replaceable cog in a wheel? Finally, sit back and shut up. Let the employee have the floor. After all, there may be other issues you aren’t aware of that are impacting that person’s ability to achieve objectives or meet expectations. If you don’t allow him or her to explain those hitches or hindrances, the underlying problem won’t be resolved. Keep in mind both your objectives and your ultimate goal. Your objectives are to identify issues that need improvement, outcomes that deserve praise, and strategies that will encourage changes in the first category and ensure continued successes in the second. Your goal is to have a productive employee who is a valued member of the company.